My research led me to a great company ,"Global Healing" . Their products are above all the rest. 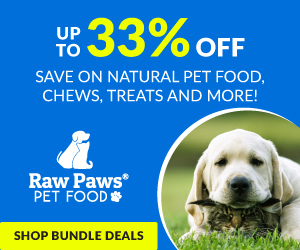 There are over 1,000 doctors worldwide who distribute and promote their products to their patients, Free shipping and returns on some products, 180 day return policy, Member of the Organic Trade Assoc., Organic Consumers Association, Natural News recommends them and so much more. What is Zeotrex?Zeotrex is an all-natural formula used to support the removal of chemicals and metals. 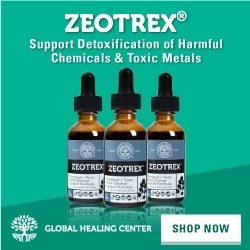 It was developed using proprietary technology and combines the chemical and toxic metal cleansing ability of zeolites with powerful, toxin-eliminating herbs. The Spagyrex process is a revolutionary, multi-step, alchemy and spagyry-based processing technique that follows the principle of separating and recombining all the elements of aa herb to extract the most powerful essence of its healing nature. This results in a Harmonious Organic Supercharged Extract. 1. 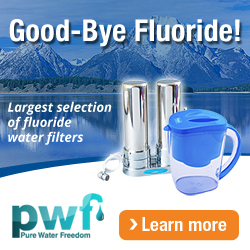 Detoxification of chemicals and toxic metals is important for good health. 2. Can be used for maintenance or as part of the complete chemical and toxic metal cleanse. 3. Supports normal enzyme activity to help your body work better. 4. Active defense against the many sources of chemicals and toxic metals -- fish may contain metals, vegetables can contain pesticides, deodorant contains aluminum, water may contain industrial chemicals. Total avoidance is impossible, cleansing is the only solution. 5. Made with powerful ingredients, has never been tested on animals, and our customer support team is a phone call away. You have nothing to lose! · Canada's National Water Research Institute has reported that metal pollution in soil is a real problem. · Metal toxicity rarely includes a warning, indications are often nonspecific and undiagnosed until serious problems develop! · In 2012, the Iranian Journal of Environmental Health Sciences reported that toxic metal pollution in water is a worldwide problem. · The EPA reports that 80% of pesticide used in the United States is for to agriculture (ie, the food you eat). · The Environmental Integrity Project and Sierra Club named Pennsylvania (arsenic and lead), Ohio (mercury and selenium), Indiana (chromium and nickel), Kentucky (arsenic), and Texas (mercury and selenium) as the worst states for air pollution. · The electric power industry is responsible for two-thirds of the nation's industrial arsenic emissions. · From 2009 to 2010, 16 states saw increases in power plant lead emissions. · The China Environmental News warns that China is experiencing severe toxic metal pollution problems. · The use of glyphosate, the active ingredient in Monsanto's RoundUp, more than doubled from 85-90 million pounds in 2001 to 180-185 million pounds in 2007. Unfortunately, a report from the Organic Center cites that the rise is likely due to increasing use of RoundUp Ready GMO crops. · Sustainably produced in the USA with organic and wild cultivated herbs. · Vegan safe and GMO-free. Kosher and Halal approved. · No harmful fillers, binders or additives. · NOT tested on animals! · Comes with a no questions asked, money back guarantee!